rare, then the lines are exceedingly narrow. Some of the lines are double, some triple, and some are very complex in their character; and it is this complexity of character or structure to which I wish particularly to draw your attention. 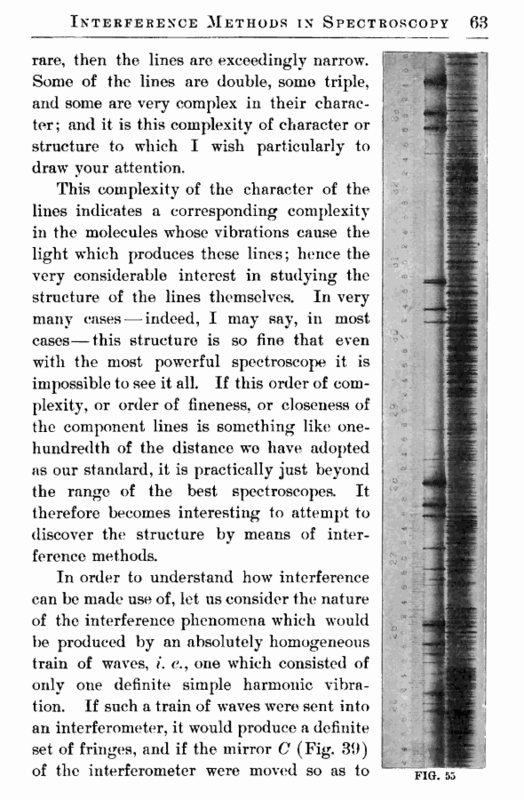 This complexity of the character of the lines indicates a corresponding complexity in the molecules whose vibrations cause the light which produces these lines; hence the very considerable interest in studying the structure of the lines themselves. In very many cases — indeed, I may say, in most cases—this structure is so fine that even with the most powerful spectroscope it is impossible to see it all. 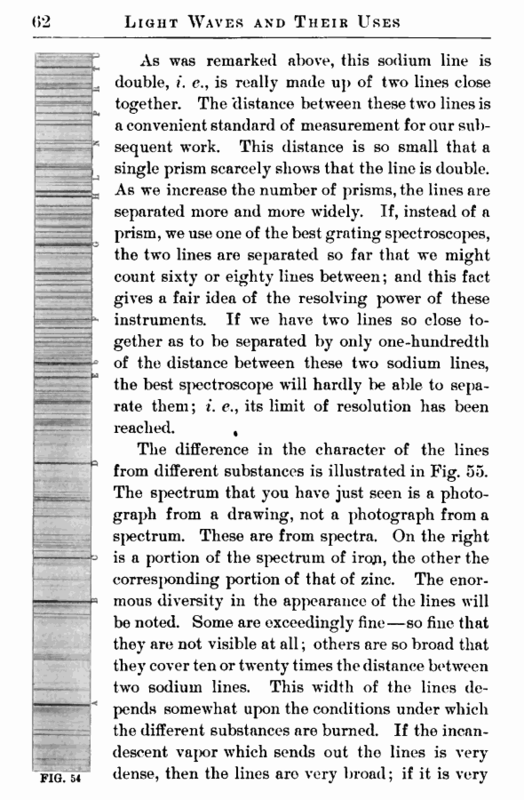 If this order of complexity, or order of fineness, or closeness of the component lines is something like one-hundredth of the distance wo have adopted as our standard, it is practically just beyond the range of the best spectroscopes. It therefore becomes interesting to attempt to discover the structure by means of interference methods.